﻿ ﻿ ﻿ ﻿ Computerised therapies: sacrificing effectiveness for wider access? Computerised therapies: sacrificing effectiveness for wider access? The prospect that computerised interventions could make help for problem substance use readily available to more people and for less money – with the promise of greater feasibility as internet access expands and becomes more convenient – has driven studies to test whether such approaches can retain the effectiveness of in-person interventions. If effectiveness is sacrificed, casting the net wider may not be worthwhile. Moreover, the idea that an automated response driven by a computer could help addicted patients overcome often desperate situations doesn’t quite sit right with everyone. Where is the humanity without the human-to-human contact? And where is the ‘therapy’ without the familiar cues of patient and practitioner? This reaction is in itself a reason why they might not work, because such therapies would fail to meet a basic criterion for effective psychosocial treatment, that it’s about what you do in that culture to get better – that to the patient, it looks like ‘treatment’. Nobody is yet suggesting that computers can replace therapists for typical treatment populations, but further down the severity and complexity scale, there is growing evidence that computers and other forms of digital technology may add substance use reduction to its more familiar competencies. 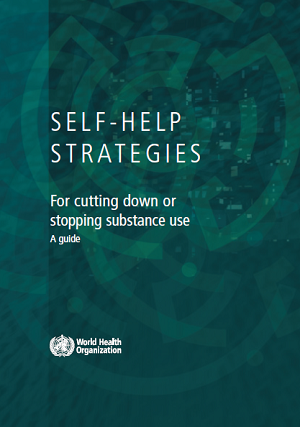 As web services permeate more of life including social and health-related activities such as dating, networking and distance learning, they too may take their place among culturally-accepted routes to overcoming unhealthy substance use. Online interventions for gambling, drinking, and illegal drug-related problems have been “developing at a fast pace over the past decade”, with two distinct internet-based approaches emerging in the substance use literature: unguided stand-alone internet interventions; and internet interventions used as an add-on to conventional treatment. The former can support numerous substance users at the same time and have a low threshold for accessibility, while combined with face-to-face support, the latter offer more intensive treatment. Overall, less is known about how (or how well) interventions work when provided entirely online. However, both approaches have demonstrated encouraging effects for nicotine, alcohol, and cannabis users in meta-analyses (1 2 3), with comparatively less known about their effects on users of opioids, cocaine, and amphetamines. Aiming to bridge this gap, a meta-analysis investigating the effectiveness of internet interventions in decreasing the use of opioids, cocaine, and amphetamines found that (free source at time of writing) they demonstrate small but significant effects in decreasing substance use among various target populations at the end of treatment and at follow-up assessments. Another type of review, based on 18 eligible studies, found that evaluations of online interventions for drinking problems are more common than those for illegal drugs and gambling, and a large majority are delivered using a computer-based web platform, as opposed to a mobile platform (for example via an ‘app’ downloaded to a phone or tablet). Most are also based on motivational or cognitive-behavioural approaches, which are well-established therapeutic components in the field of addiction. In terms of effectiveness for people with problem drinking and/or drug use, more than three-quarters of the studies showed a short-term decrease in use that was maintained six months later, but only two studies included a 12-month follow-up. The participants in the studies were mostly adults between 30 and 46 years old (an age group presumed to be receptive to technology), with a high school education. While less than a quarter reported having previously consulted a professional for drug or alcohol-related problems, the majority presented with high risk or problem drinking and/or drug use. Outside the context of a trial, this profile was broadly replicated in a study of people accessing help for problem drinking via the internet, suggesting the results of trials may be applicable to people seeking help in the normal way. While principles of cognitive-behavioural therapy are commonly found in computer-driven programmes, and have a high level of empirical support for the treatment of drug and alcohol use disorders in general, a phenomenon in research called the ‘implementation cliff’ means that a drop-off in benefit often occurs when interventions leave highly controlled (‘laboratory’) settings. In so far as this is due to the intervention becoming less well implemented, modern technologies may give scope to curb this by offering a flexible, low-cost, standardised means of disseminating cognitive-behavioural and other therapies in a range of novel settings and populations. More than this, computerised support potentially opens up new opportunities for a range of intervention types, from education and information, to screening and brief interventions, feedback, and relapse prevention, without the stigma embedded in conventional treatment spaces, and to people in a range of circumstances, from those referred by helping professionals, to those motivated to pursue ‘self-help’ in private. Online self-help is an established resource for mental health problems within the UK National Health Service (NHS). Various services are already approved, with evidence of comparable outcomes between self-help therapies and face-to-face therapies for some types of mental health problems and disorders. In particular, the National Institute for Health and Care Excellence (NICE) recommends computerised cognitive-behavioural therapy for the treatment of depression, generalised anxiety disorder, and panic disorder – not just an interesting fact to note about a parallel field, but a resource that could be tapped into for the nearly three-quarters of clients of Britain’s drug and alcohol services suffering from mental health problems. For substance use problems specifically, self-help websites or online resources are more likely to attract people lower down the severity scale ( image), and with more of the ‘recovery capital’ needed to lift themselves out of trouble without therapist intervention, such as problem drinkers who retain a stake in mainstream society in the form of relationships, jobs, families, and a reputation to lose. They may also complement national campaigns such as Dry January (previously run by the charity Alcohol Concern, which has now merged with Alcohol Research UK), which in the UK engaged an estimated five million people in 2017. However, experts were divided on “whether the initiatives help to change behaviour in the long term, and whether they were the right approach for many who regularly overindulge”. Moving into the realm of more dynamic or personalised support, brief advice following a short screening questionnaire is a broadly available first step or next step for non-dependent but clearly excessive drinkers. Here a computerised response has a clear role. Users are unlikely to seek face-to-face help, an inexpensive and short intervention would seem in line with the (non-)severity of their problems, and more extensive help might even be rejected as ‘over the top’. A systematic review of ‘digital’ brief interventions from the Cochrane collaboration (which helps to facilitate evidence-based choices about health interventions) found that personalised advice using computers or mobile devices overall helps reduce heavy drinking better than doing nothing or providing only general health information, and, from a small pool of studies, may match the effectiveness of face-to-face conversations with doctors or nurses. The 57 studies reviewed included people in workplaces, colleges or health clinics, as well as internet users. Information was insufficient to determine if advice was better from computers, telephones or the internet to reduce risky drinking, or to confirm which pieces of advice were most important. However, advice from trusted people such as doctors seemed helpful, as did recommendations for people to think about specific ways they could overcome problems that might prevent them drinking less, and suggestions about things to do instead of drinking. In Germany, a study testing whether people with different day-to-day drinking patterns benefitted differently from two computerised brief alcohol interventions, randomly allocated 1,243 job-seekers who were ‘at-risk’ drinkers to: (1) an intervention tailored to their motivational stage, (2) a non-stage tailored intervention, or (3) to a control group receiving assessment only. Four distinct day-to-day drinking patterns were observed. Those whose consumption was at the lower end were found to benefit more from stage-tailored brief alcohol interventions than non-stage tailored brief alcohol interventions and assessment only. As the authors identified, this is one core target population for brief interventions that is typically not reached. A key difference between the stage-tailored and non-stage tailored interventions was that the former reserved feedback about self-regulating drinking for those in later motivational stages of change, while the latter encouraged all participants to apply self-regulatory strategies. In line with the stages of change model (and broader transtheoretical model of behavioural change), the findings indicated that people in earlier motivational stages improved most when not encouraged to use self-regulatory strategies. Prominent Dutch studies have reviewed evidence of computer-aided interventions across the severity scale, testing computer-delivered therapy via ‘text–chat’ conversations with a real therapist for problem and often dependent drinkers, an online cognitive-behavioural programme for excessive drinkers, and, at the lowest level of intervention intensity and problem severity, a 10-minute web-based brief intervention for risky drinkers. For the typically very heavy and multiply problematic drinkers in the first study who volunteered for it in order “to reduce [their] alcohol intake or quit drinking”, text chats with a real therapist had the greatest and most lasting impact, but a fully automated process also worked substantially better than being placed on a waiting list and could be made more available with less resources. The less severe but still on average heavy drinkers in the second study who engaged with a web-based self-help programme and completed a follow-up survey had more often reverted to non-risky drinking than a control group. The still less heavy but nevertheless risky drinkers in the third study had been identified through screening or responded to ads and been allocated not to a self-help programme but a computerised version of a brief, single-session intervention. Again those who agreed to join the study and completed follow-ups had more often reverted to non-risky drinking than a control group. Based partly on these results the Dutch team devised a mathematical model which simulates the health gains and costs of incorporating these new technologies into a health care system for problem drinking. For the Netherlands, the results suggested national health would improve and/or costs would be reduced if online brief interventions and therapy were added to or replaced conventional alcohol-related health care. However, the weak link in all the studies and therefore in the simulation was that few people joined the studies and completed follow-ups, raising doubts over whether impacts in these presumably atypical minorities would be matched on a larger scale. The concern that routine implementation across a broad population might prove less effective than among the minority who join trials seemed validated in studies of computerised brief interventions in New Zealand and Sweden, seen as the most real-world trials to date of this type of intervention among college students. In both cases the study and/or the intervention appealed to only a minority of students and impact was at best slight and generally not statistically significant. In finding (at best) small effects, these trials were typical of trials of computer-based brief interventions among students. Published in 2015 a study which amalgamated results from trials of (typically brief) computerised interventions found larger and more lasting drinking reductions among general adult samples of risky drinkers than among college students, among whom there was just a 12g per week reduction six months after intervention but no significant reduction after a year. Another review corroborated this disparity, but also argued that in some studies drinking amounts were so skewed that using the average to characterise them was misleading. After accounting for this the findings changed, and among students there was now no statistically significant reduction in drinking due to the interventions. Stronger findings across non-college adult samples may be because, rather than for incentives or course credits, they join studies and access internet alcohol intervention sites in order to control a level and pattern of drinking which worries them. Drinking on average more heavily than students and having had longer to experience the ill effects, they have more reason and more scope to cut back. In a Canadian study it was only the higher-risk half of risky drinkers among a general adult sample who reduced their consumption and alcohol-related risk levels after being given access to a web-based brief intervention. Drinking less overall, and in a setting where heavy drinking is an accepted rite of passage and may be seen as a passing phase, it seems likely that students have less incentive to act on information and advice which would lead older and heavier drinkers – responsible for families and jobs, and facing the possibility of chronic diseases as they age – to cut back. Most existing educational interventions for preventing opioid overdose focus on the provision of naloxone and are conducted in-person, presenting certain logistical barriers that may limit wide-spread implementation. One study developed and evaluated an easily-disseminated opioid overdose educational intervention and compared computerised versus pamphlet delivery. While the computer-delivered intervention may have advantages in terms of cost and reach as a delivery method, it was not found to have any benefits over pamphlet delivery on the outcomes measured. Knowledge increased across the board and was well-sustained at the one and three-month follow-ups among people receiving the computer and written pamphlets, and there was a significant reduction in the risk factor of ‘using opioids while alone’. The overall response rate to text message queries was low (30%), suggesting to the researchers that “participants did not have the ability or interest in interacting with the program in the context of their daily lives”. One explanation was that some treatment programmes didn’t allow private mobile phone use. Furthermore, the feeling of connection with someone was almost universal – important among this cohort as social ties were typically frayed or non-existent. Overall, the findings indiciated that the intervention could be useful, but that its acceptability would likely be enhanced through personalised ‘human’ support including the ability to communicate through text messaging with another person about their struggles. Run this search to get more of a feel for what we can expect from digital interventions.